Welcome to the many worlds of Eric Flint. Known for his New York Times best-selling alternate history novels, Flint is equally a master of shorter forms, and this large volume gathers the best of Flint's shorter works. 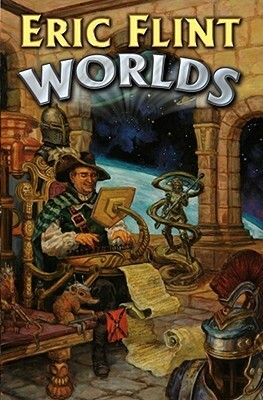 This generous selection includes: several stories and short novels set in Flint's celebrated Ring of Fire alternate history series; two stories from Flint's Joe's World humorous fantasy series; a story with Dave Freer, set in their popular rats, bats and vats series; a short novel set in Flint and David Drake's Belisarius series; and several shared-universe stories set in David Drake's Foreign Legions universe, and a story set in David Weber's best-selling Honor Harrington universe. In addition to the fiction, Eric Flint has written an overall introduction, plus an introduction for each story, telling how it came to be written, which will make this an irresistible book for the thousands of Eric Flint fans.